“It is always a delight for me to go to Ocean Park when I was a kid. It is the thing we could share among friends for days,” said Shiner Hung, Year 1 student of Bachelor of Business Administration at the Chinese University of Hong Kong . However, Varsity survey shows 57 percent of respondents have not been to Ocean Park in the last two years. Nearly 20 percent of respondents had never been to Ocean Park in the last five years. The survey interviewed 344 local university students. 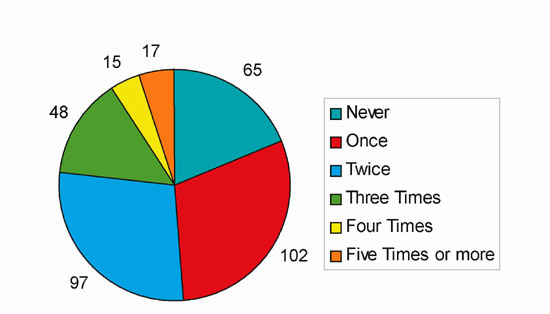 It also shows 49 percent of respondents had not been Ocean Park more than once in the recent five years. “The local market of Ocean Park, especially the one of the young, shrinks in a large extent,” said Professor Sin Yat Min in the Department of Marketing of the Chinese University of Hong Kong, explaining. “This twenty-seven-year-old theme park does not upgrade and renovate itself regularly,” continued Professor Sin. What is worse is a more serious challenge has not come yet. The Hong Kong Disneyland will be opened in the mid-September. Ocean Park will no longer enjoy the advantage of exclusivity of being the only local theme park in Hong Kong . “The local university students have no intention to visit Ocean Park again and again since nearly all of them had been there before. “There are lots of excellence and trendy entertainments for them to choose besides going to the old-fashioned Ocean Park ,” said Professor Sin. 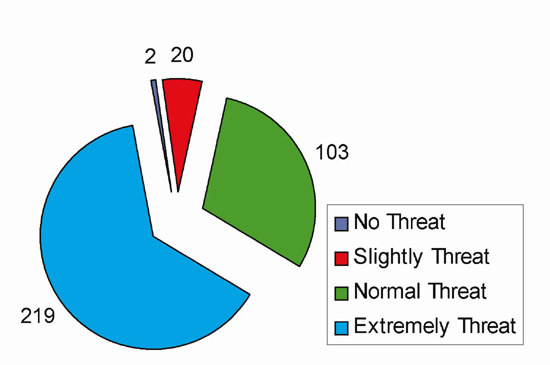 64 percent of respondents of the survey thought that the entrances of Ocean Park would be threatened seriously by the emergence of the Hong Kong Disneyland. To tackle with the declining of the young market, Ocean Park has started to fight back in recent years. “We have brought in a number of special events like Saturday Night Carnival, Halloween at Ocean Park and Big Splash Summer,” said Ms Vivian Lee Ling Fung, the marketing manager of Ocean Park . In fact, some of the respondents of the survey admitted that they went to Ocean Park solely because of these special events and the new items. Professor Sin also agreed that “innovation” is one of the keys for Ocean Park to maintain the local young market. “If there is nothing changed in the Park when people return, they will not go there anymore,” said he. It is essential for the park to keep a stable source of young customers. The most direct method to attract tourists is to lower the price, which 66 percent of the respondents of the survey had the same opinion, but it certainly will not come true in the next few years. Professor Sin explained, “If the admission fee of Ocean Park reduced too much, their revenue would surely decrease. “The local tourists only contribute a minor part of the revenue of Ocean Park . While the main customers, the Overseas and the Mainland tourists will not concern about how expensive they paid. “But if the fee only reduced in a small extent, say 10 percent, it is still not enough to create a sudden expansion in local market,” said he. Nonetheless, in last October, Ocean Park introduced the Student Pass for local full time students. The Pass costs $295. Holders could enjoy an unlimited entry to Ocean Park for a whole year. Although the admission fee of the Disneyland is $350, which is more expensive than the membership fee of the Student Pass , money is not the hinge of this competition. 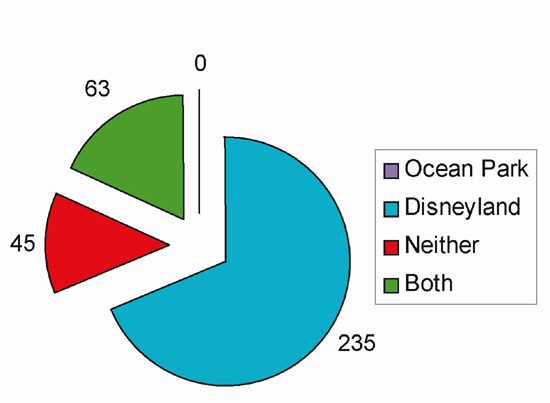 235 out of 344 respondents chose to go to the Disneyland rather than Ocean Park within a year of opening of the Disneyland . Only 63 of them plan to visit both of them, while no one will visit Ocean Park only. “Our focuses are different,” said Vivian Lee. She said, “So, in the coming future, we will still do the best on our theme and provide customers with fantastic experiences with our marine animals. However, according to Varsity Survey, within the 313 respondents who have ever been to Ocean Park , only four went to Ocean Park for knowledge. 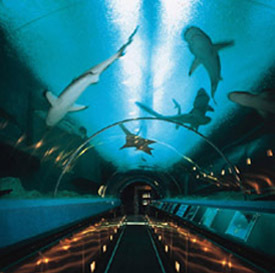 “My younger brother truly goes to Ocean Park for marine knowledge time and time again. But to my friends and me, Ocean Park is only a place for fun,” said Shiner Hung. Varsity Survey shows most youngsters enjoy more exciting activities rather than simply watching the marine animals in the aquarium. 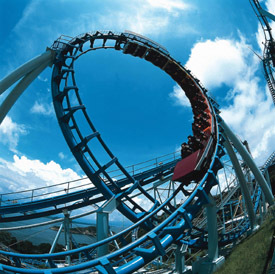 Adventure Land , Headland Rides, and Marine World are the three most favorable attractions to respondents. Water World is one of the facilities that the respondents mostly wanted to enjoy in the future. Apart from the Water World, the respondents of the survey gave a lot of suggestions to the future Ocean Park like Bungee Jump, exhibition of microbiology, building hotels, ride on submarine. After all, students still have expectations on Ocean Park , one of the symbols of Hong Kong . Their experience in Ocean Park may still remain their sweetest childhood memories. Which one will you go in the following year of Disneyland 's opening? How do you think the seriousness of Disneyland 's threat to Ocean Park ? What are your favorate facilities of Ocean Park ? White numbers mean the number of respondents.